Summer time is a great time for spending outdoors and enjoying all that summer has to offer. Although, one aspect of summer that is not fun is coping with the heat in your home, and spending more money to keep it cool! What if I told you there are ways to keep more money in your pocket, and keep the earth happier, would that make your day? I thought so. Here are eco friendly home tips to help your wallet and give back to Mother Earth. ELECTRICITY: Between air conditioning, fans, and swamp coolers – all of these run on electricity. In the summer months these appliances use up large quantities of energy, and later to money out of your pocket. Consider using darkening window treatments in rooms that have a lot of heat gain in the summer. These treatments will keep your home cooler, and will help you save electricity. If you own blinds or shutters, close them so they face towards the ceiling. This will keep heat levels lower, and will help slow fading of your furniture upholstery and carpet. When using air conditioning set it at the warmest temperature you can feel comfortable inside your home. While some would think 80 degrees is warm – it’s a lot cooler than 103 outside your home! WATER: If you have a lawn irrigation system, set the timer to water in early morning. 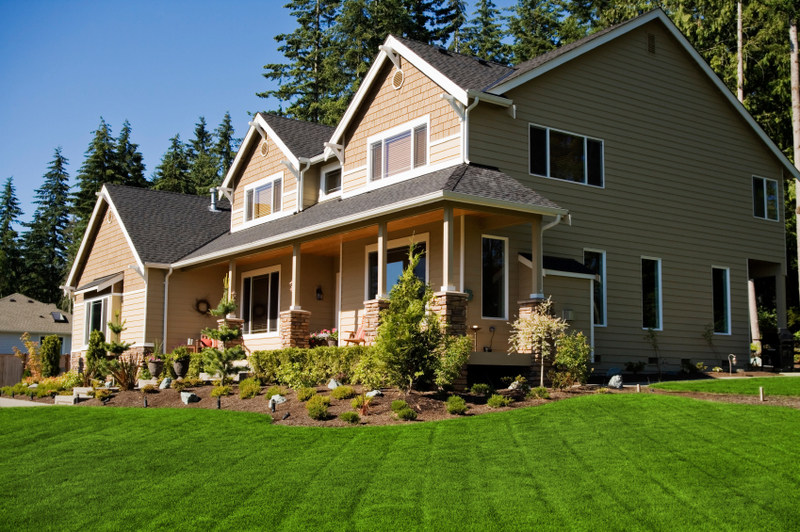 Grass that is not stressed from the day’s heat will absorb less water, and it will help it grow stronger. There are several green irrigation practices you can follow for watering your landscaping. Consider using drip or rain water collection systems to water your plants. Inside your home, conserve water by taking short showers over long bathtub soaks. Another water saving tip, install low flow shower heads and save money. These shower heads are especially good for renters, because they are removable and can go to your next home. ENERGY AUDIT: Your local electricity provider offers energy audits of your home. Schedule for a representative to visit your home and walk through tips for saving energy. Tips can range from changing incandescent light bulbs to compact fluorescent lamps (CFL) to washing clothes in cold water in the laundry room. Energy audits are usually a free service, and will help you learn about your home, and saving money. SEAL OUT AIR: Make sure your attic in your home has ample insulation. You can save 20-25% off your energy bill, and your home will feel cooler in the summer and warmer in the winter. Check windows and doors for air leaks around them. Caulk around windows, and use weather stripping to help your home keep its cool temperatures. Think of the money you will save if the hot summer air isn’t trickling in! ACTIVITIES: Want to really save money during the summer in your home? Get out of the house! Participate in activities outside of your home – movie theaters, shopping centers, libraries, etc… For a few hours, it will help you forget about the heat, and your wallet can have a break too! Freshome readers, share your eco friendly ways to save money in your home this summer! Do you already follow some of these tips, or have you found new ones?